El Salvador’s economy was hit hard by the global recession. Poverty rose by 5.4 percent to an alarming 40 percent between 2007 and 2008, and the GDP contracted 3.1 percent in 2009. The combination of public insecurity and an ailing economy left an opening for the country’s major leftist party to make inroads amongst independent voters. After twenty years of right-wing ARENA rule, the nation was ready for a change. 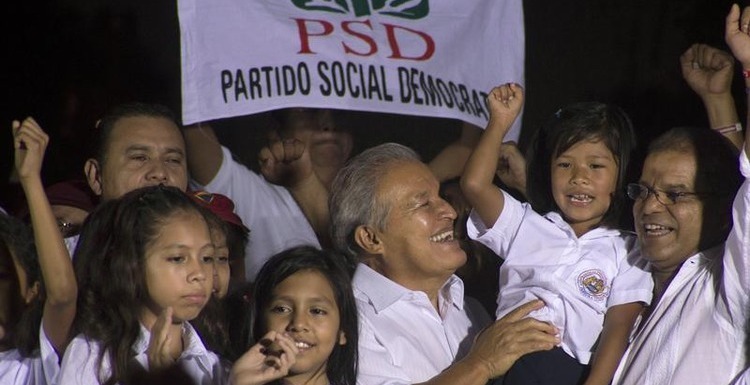 In March 2009, the first FMLN administration of President Mauricio Funes came to power on a platform of “el cambio” and moved quickly to increase social investment and provide a safety net for those most vulnerable to the economic downturn. Though the Salvadoran recovery has been somewhat anemic, the country has reported some modest increase in GDP growth over the past year. The good news is that despite the recession and a relatively slow recovery, there has been some significant poverty reduction in both the urban and rural areas of the country. To be sure, with nearly three out of ten persons still living in poverty, and rural poverty 10 points higher than urban poverty, there is still a long way to go towards the goal of economic and social justice. On Friday, President Sánchez Cerén (FMLN) announced that the most recent Encuesta de Hogares de Propósitos Múltiples 2013 (EHPM) will show that between 2012 and 2013 there had been a five percent drop in the poverty rate, an increase in average income by about $50 USD, and a fall in illiteracy from 12.4 to 11.8 percent. [i] Cerén attributes much of these gains to the very popular “paquete escolar” which provides school uniforms, nutritional meals, and basic school supplies to more than 3,300,000 public school children; significant gains in the development of the agricultural sector; and government assistance and international aid to stimulate micro, small, and medium size businesses. 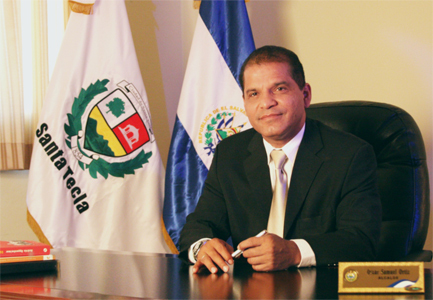 The same press release issued by the El Salvador’s Ministry of Economy also points out that the 2008 poverty rate of 40 percent has now fallen 11.1 percent since the administration of President Mauricio Funes (FMLN, 2009-2014). This comes close to meeting the poverty reduction goals of the government’s five-year development plan for 2010-2014. [ii] The poverty rates are calculated with reference to family income in relation to the cost of the canasta basica alimentaria, the basic food basket, the cost of which fluctuates and is different in urban versus rural areas. Therefore, government efforts to mitigate rising food prices, especially for staple foods such as beans; the proactive measures it is taking with regard to the drought; and its increased investment in small cooperative businesses in the rural areas, will likely have a positive impact on the poverty rate in the coming months. Remittances from the United States, after falling in 2009, have been on the rise since 2010 with more than $2.1 billion USD registered during the first six months of 2014; this figure is 155.4 million more than the first six months of 2013. [iii] As Tim’s blog points out, “remittances sent by Salvadorans living abroad to their relatives in the country are set to exceed $4 billion this year.”[iv] This uptick in remittances will no doubt bolster consumer spending and though the lion’s share of these dollars goes to the unproductive import sector, it should nevertheless have a positive impact on average income as well as GDP growth. [iii] Accessed August 10, 2014. Banco Central de Reserva de El Salvador. Remesas Familiares crecen 8.0% a junio 2014. July 17, 2014.